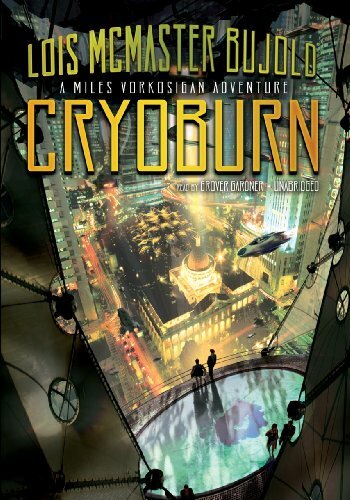 Synopsis: Only five days after arriving on Kibou-daini for a cryonics conference, interplanetary diplomat Miles Vorkosigan narrowly escapes kidnapping. Drugged, dazed, and alone, he is taken in by Jin Sato, whose mother was the leader of a cryonics reform movement until being declared mentally ill and involuntarily frozen. Now, Jin lives in a building full of squatters running an illegal cryonics clinic. Under imperial orders to investigate the shady dealings of the cryo cartels, Miles connects the far-flung pieces and exposes a sneaky plot. About the Author&colon; A science fiction legend, Lois McMaster Bujold has won six Hugo Awards and three Nebula Awards. Her Miles Vorkosigan saga is a hugely-popular science fiction mainstay with multiple New York Times bestsellers including previous entry, Diplomatic Immunity. The mother of two, Ms. Bujold lives in Minneapolis.